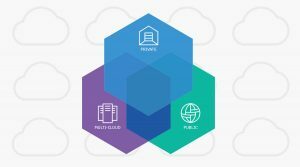 IBM also announced that it’s launching a new version of ICP for Data — ICP for Data Experiences, meant to serve as an introduction to the platform. Through ICP for Data Experiences, “developers and data engineers alike can move quickly through the steps it takes to do things like collect and prepare the right data for machine learning models, create predictive analytics models to understand future outcomes, and how to go about deploying and managing these models,” Rob Thomas, general manager of IBM analytics, wrote in a post. The news of the imminent OpenShift certification follows related news from IBM partner HortonWorks about its own platform, as well as news from earlier this year about IBM and Red Hat’s plans for IBM middleware integration with OpenShift. “Now with ICP for Data certified for OpenShift, clients will be able to run their cloud-native workloads across OpenShift’s vast landscape and stretching across on premises, public and private clouds,” Thomes wrote. In addition, the company will be sponsoring the StackExchange AI community on the Stack Overflow Network. IBM hopes this will help foster a conversation around AI, machine learning, data science, data governance and hybrid data management. “Which brings us full circle on the issue at hand – helping empower people and organizations with the easiest, most intuitive yet sophisticated tools and platforms to begin managing and analyzing their mounting data – all with an eye on AI. Because be forewarned, no enterprise will scale the AI ladder without having its data prepped, managed, available and accessible. We think we’ve built the most powerful system yet to help you accomplish this,” Thomas added.